L to FVS series combines outstanding performance with high quality materials, ease of use and reduced consumption. 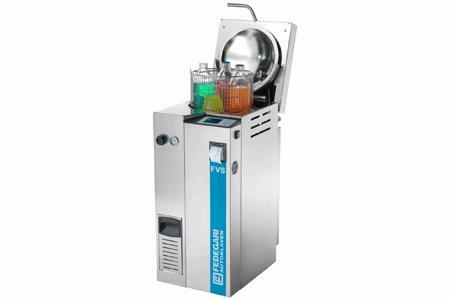 culture media and solutions in small open containers machines of FVS series constantly monitor the sterilization process by the PID algorithm to use. This in such a small autoclave solution allows for a continuous and accurate monitoring of the room temperature and pressure. This results in process reliability and significant energy savings.